KVUE Defenders investigation uncovers an increase in Texas nursing home residents harmed by medication errors. KVUE’s findings come after Sandy Martinez says her father, Paul Travio, is one of those residents impacted. “We had noticed some behavior issues with him, and we couldn’t pinpoint what was going on because he started sundowning a lot. He wasn’t talkative anymore,” said Martinez. A few months later, Travio’s daughter got a call from CVS Pharmacy indicating it was time to refill their father’s prescription for Sinemet, a medication to help treat Travio’s Parkinson’s disease. While the state cited Travio’s nursing home for medication errors in the past, his family couldn’t prove it this time. A KVUE Defenders investigation uncovered their concerns shed light into an increasing problem across the state. 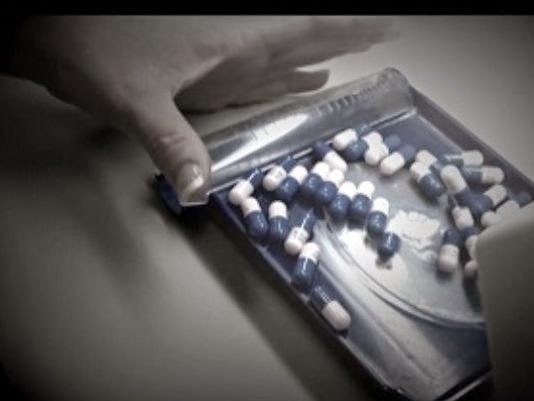 Digging through state records, the KVUE Defenders uncovered state investigators cited Texas nursing homes 1,060 times for medication errors in 2011. In 2013, violations jumped by nearly 200 more. Of those, staff giving residents ‘unnecessary drugs’ increased the most by more than 78 percent. Earlier this year, AARP conducted a study on nursing home care across the country. It found Texas nursing homes inappropriately administer antipsychotic drugs to residents with no mental illness, nearly more than any other state in the country. Texas tied with Louisiana.